If coyotes or wild dogs are killing your sheep or goats, Marie-Noëlle Brien and Cécile Lacroze might be able to help. 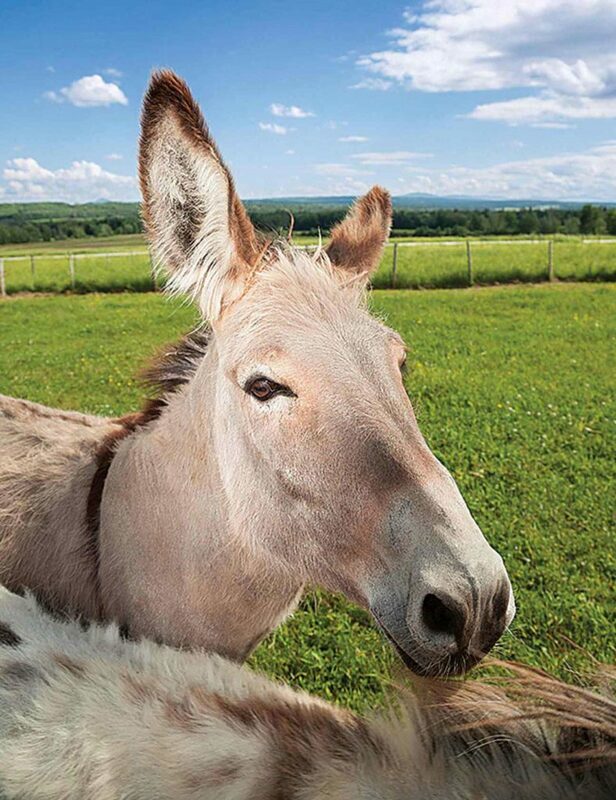 The women’s farm, Asinerie Les Ânes en Culotte, near Ste-Anne de la Rochelle, Quebec, is one of a handful of places in the province that sells trained guardian donkeys. The humble donkey has long been the forgotten farm animal. But the personable creatures have gained new respect for how aggressively they protect flocks of sheep from predators. Fast charges, loud brays. Donkeys have a natural aversion to coyotes and wild dogs; they will quickly attack any they spot near the herd, Lacroze says. Usually a fast charge and loud brays will chase them away. If the predator doesn’t leave quickly enough the donkey will rear up and strike them with their front hooves. 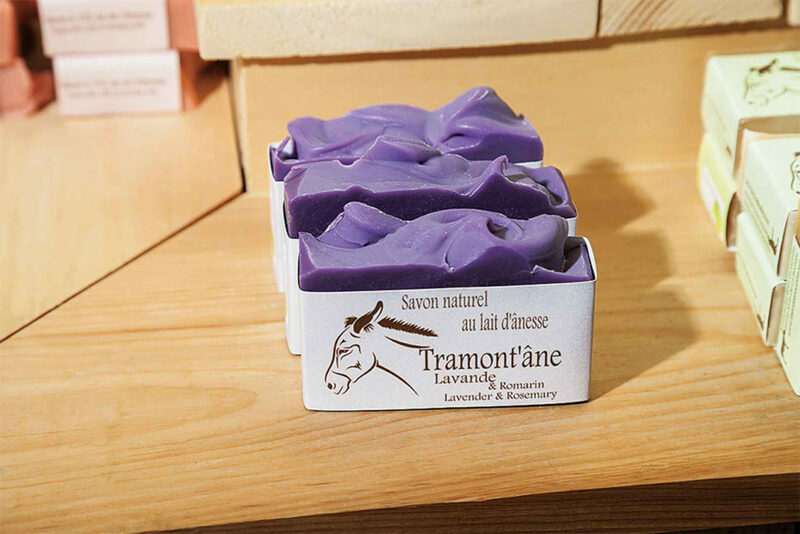 Components of donkey milk are in great demand as ingredients in natural skin care products in Italy and they are slowly attracting interest in Quebec. Lacroze and Brien bought their first two donkeys in 2012 after watching a television documentary on them. The pair had been looking for the right farm venture for them since they moved to Brien’s family farm in Quebec’s Eastern Townships the year before, and they found that something about donkeys just appealed to them. Jennys (female donkeys) or geldings make the best guardians, Lacroze says. Intact males (jacks) are too aggressive and unpredictable for the task and have been known to attack lambs. If you are going to buy one to protect your flock it’s essential to find one that was raised with the type of animal you want them to protect from a young age, Lacroze says. That way they view them as part of their herd and will be willing to protect them. Brien and Lacroze keep lambs on site to start preparing the donkeys for their future lives as early as possible. They try to avoid selling donkeys until they’re 2 years old; temperaments of younger ones are too unpredictable. Donkey milk. The pair also specialize in raising donkeys for milk production. While milking donkeys is quite rare in North America it has become a thriving industry in Italy over the past 25 years. There is now enough demand for their milk in the cosmetic industry that it is credited with saving a lot of the country’s donkey breeds. Mares are milked once a day after being separated from their offspring for three hours. Typically each animal will yield about a half litre of milk. The market for their products is slowly building in Quebec, Lacroze says. They are hoping it will follow the same growth curve that it did in Europe. In the meantime they are slowly increasing their production to meet the market’s need.